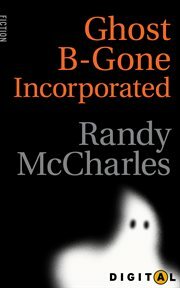 The item Ghost B-Gone Incorporated, Randy McCharles, (ebook) represents a specific, individual, material embodiment of a distinct intellectual or artistic creation found in Charlotte Mecklenburg Library. The winner of Anansi Digital's 7-day ghost story contest. Agatha Fusney has tried everything to rid her house of ghosts, and fears the worst about the grinning salesman on her doorstep. Whoever heard of spraying the house for ghosts? But after weeks of sleepless nights, Agatha is desperate to try anything. Even something as improbable as a can of Ghost-B-Gone spray. And it only costs five dollars. Sometimes you just have to hope you get what you pay for. But what if the spray delivers more than promised?